Ranked as one of the Top 100 Roofing Contractors in the U.S., Apex General Contracting continues to lead the Roofing Industry, offering uncompromised quality and service throughout the nation. 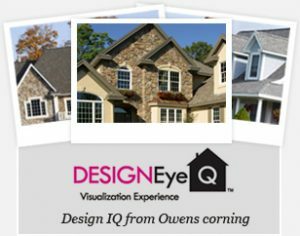 Apex General Contracting is one of a few (1%) roofing companies that was hand-selected into the Owens Corning Roofing Preferred Platinum Contractor network. This exclusive network allows Apex to offer unparalleled, lifetime warranties to all of our homeowners. Hail or Wind Damage? Act now. Don’t subject your home or property to further damage. Many factors contribute to a roof’s lifetime and performance. Elements such as a roof’s initial design to its ongoing maintenance and the environment it faces determine how long a roof will last. In some cases, damage to your shingles may not be visible at first but may eventually lead to leaks or water damage to the interior of your home. How Hail and Wind Damage Your Roof? Ceramic granules are embedded into asphalt shingles to protect it from the environment. Granule loss is common during the lifespan of all shingles, but is dramatically accelerated by hail damage. When hail strikes your roof, it creates soft spots on the shingles and loosens the granules. This indicates that the protective coating of your shingles is wearing away and exposing the layer to weather elements. The sun’s ultraviolet light will weaken the exposed spots and make them brittle. In the winter, the shingle expands and contracts and can curl and crack after being weakened by hail. The exposed areas are then very susceptible to leaks and wind damage (which lifts shingles and can even tear through nails). Once a shingle is torn, it is no longer watertight and jeopardizes the integrity of your roof. Hail damage to your shingles voids nearly all manufacturers’ warranties. It is important to detect hail damage quickly to ensure your insurance company can provide proper coverage for any repairs needed.